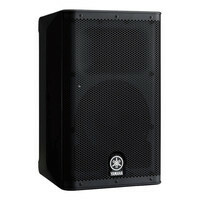 The DXR10 is an active PA loudspeaker and floor monitor featuring a 10 inch low/mid frequency driver multiple input options and FIR-X audio processing. The most compact of the DXR Series speakers the DXR10 makes the most of its 1100W of power delivering extremely high output while maintaining outstanding resolution. This entry was posted in Yamaha and tagged PA-DJ-and-Lighting. Bookmark the permalink.